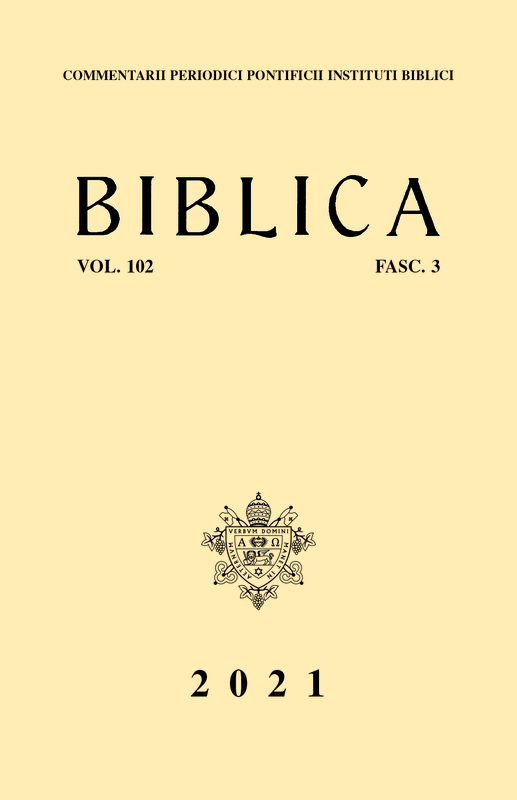 Published since 1920 by the Pontifical Biblical Institute in Rome, Biblica is a research journal and appears four times a year. It is dedicated to biblical studies on the Old and New Testament, and intertestamentary literature, and covers fields of research such as exegesis, philology, and history. Biblica is abstracted and indexed in the Arts & Humanities Citation Index and Current Contents/Arts & Humanities; International Bibliography of Periodical Literature on the Humanities and Social Sciences / IBZ online; ATLA Religion Database; Bibliographie linguistique / Linguistic Bibliography; Index Theologicus; Elenchus Bibliographicus (Ephemerides Theologicae Lovanienses); ERIH PLUS (European Reference Index for the Humanities and Social Sciences); Religious and Theological Abstracts; Old Testament Abstracts; New Testament Abstracts; L'Année Philologique; Scopus. Biblica is a peer-reviewed journal.